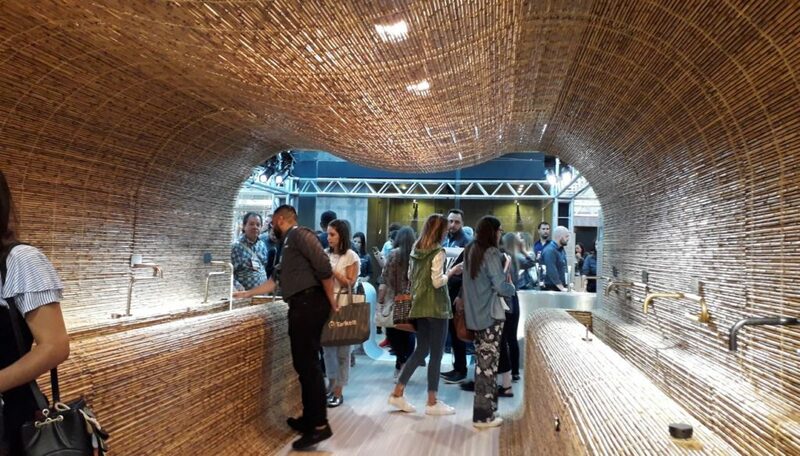 Docol’s bamboo stand was a visual feast. The best part was that the taps actually worked! 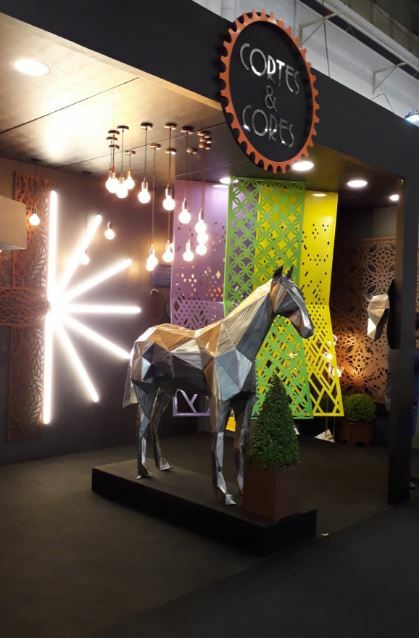 Decorative cladding company Cortes & Cores showcased bronze metal cladding, but what really caught our attention was the metallic horse that was erected in the middle of the stand. 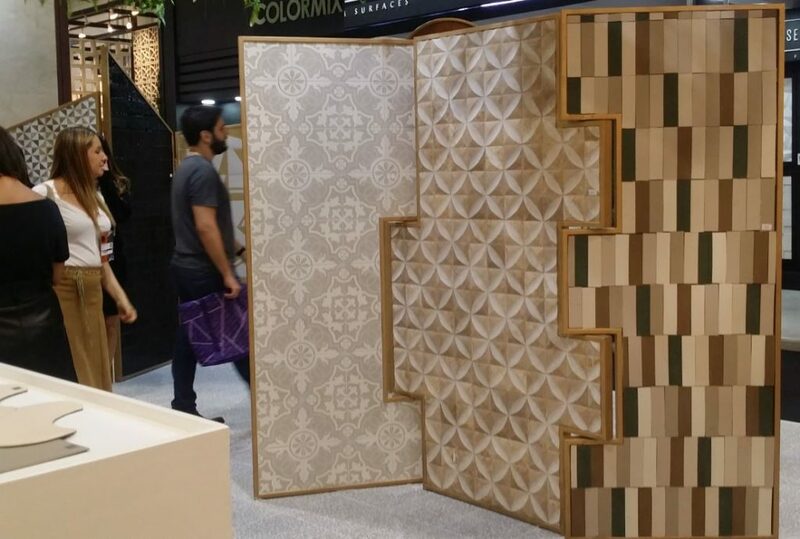 This company showcased their tiles within room divider frames. The different shapes and colours were easy to identify thanks to the unique product display idea of using room dividers. 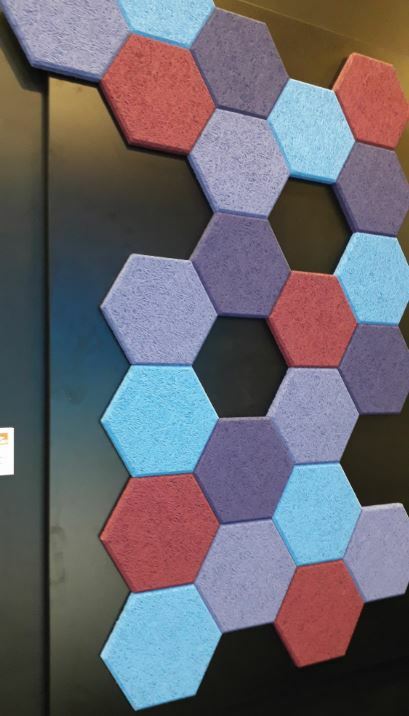 The hexagon pattern was a prominent theme at this year’s Expo Revestir. Kapazi took the trend to the next level by erecting a steel frame around their stand. 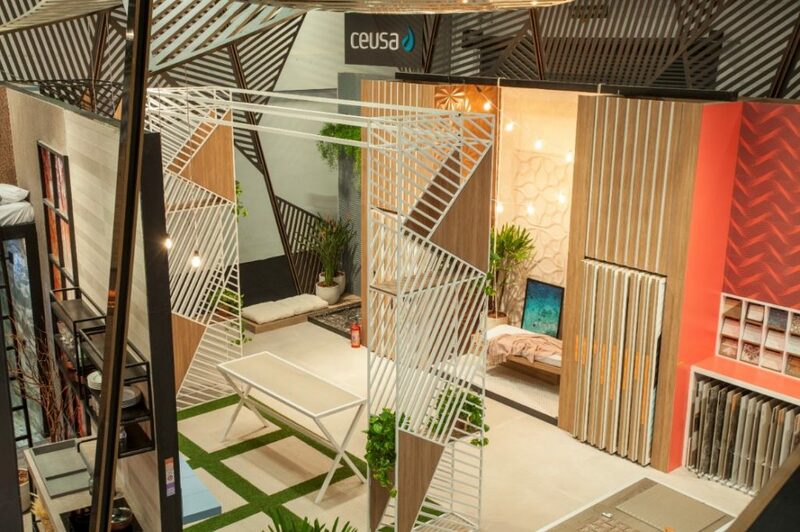 The steel frame had a hexagon pattern, and the flooring supplier put their rubber flooring, carpet vinyl and artificial grass in the hexagon frame’s holes, creating a unique ambience and look at their stand. Eliane’s stand attracted a lot of interest. It was like a maze and attendees could enter from curved, narrow passageways. 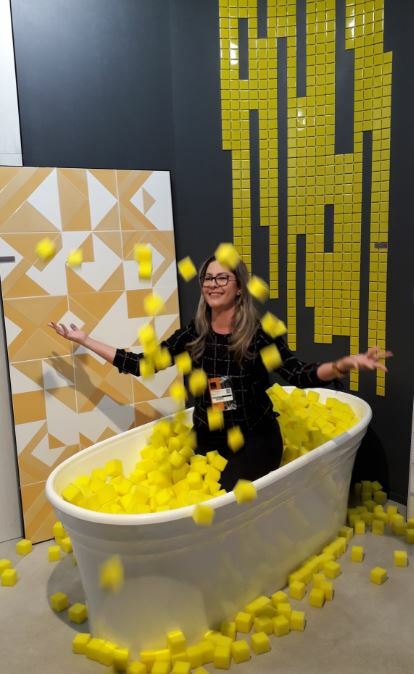 In the middle of the maze-like exhibition stand was a bathtub filled with yellow sponges. 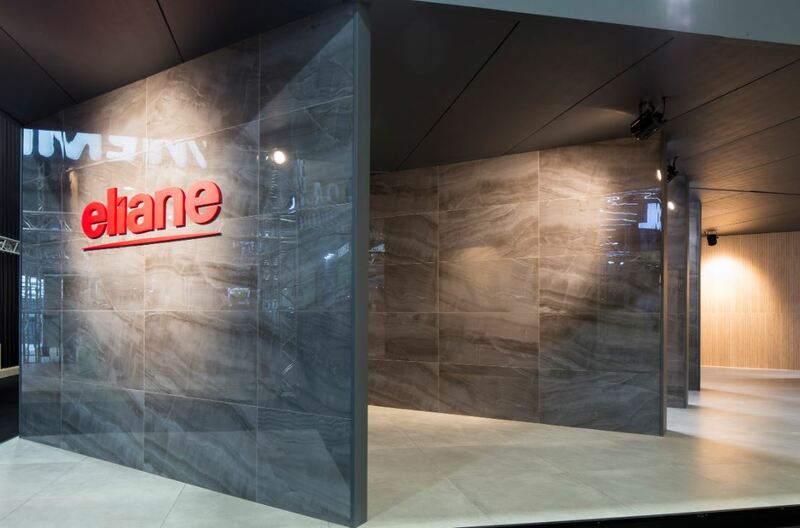 The brand’s huge 3.2 x 1.2m tile was wall mounted and on display within the stand area. There was a range of interesting products at the Ceusa stand. 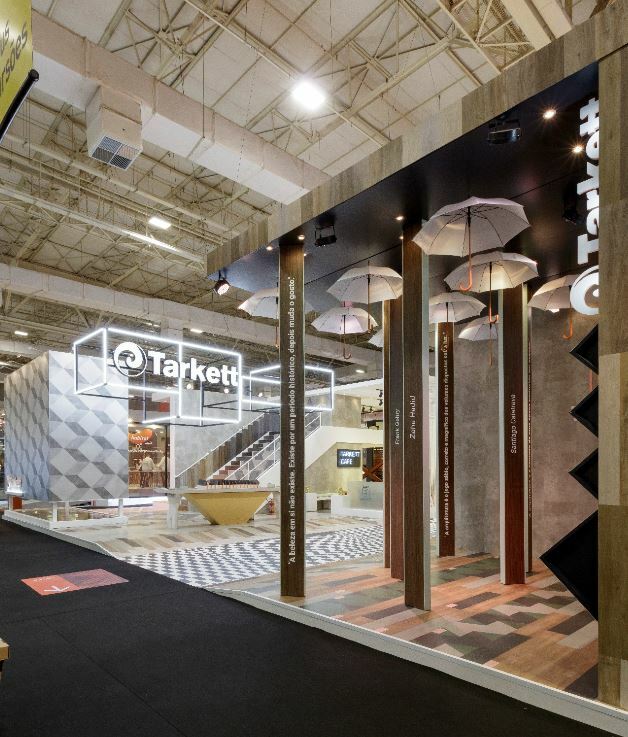 From textured tiles that looked like they had a metallic embossing to textured tiles that imitated raised parquet flooring, raised carpets and neon tiles, this stand was a feast for the eyes. What caught our attention was the amount of blue hues that this brand used in their tiles. 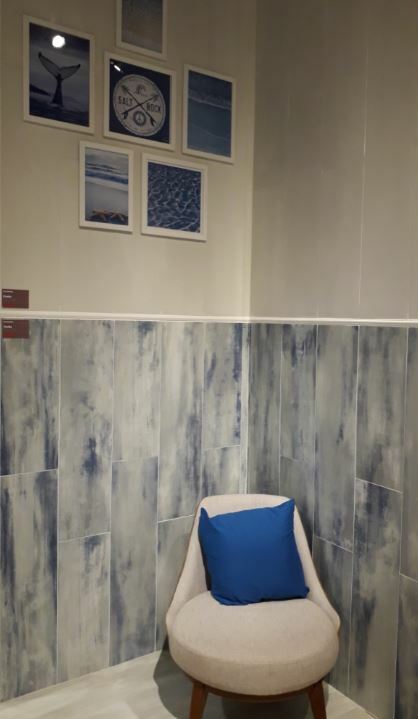 Pamesa’s large stand showcased whitewashed ceramic wood-look floors with blue tones, as well as tiles that looked like distressed, aged and burned wood, with the notable blue hues and tones. 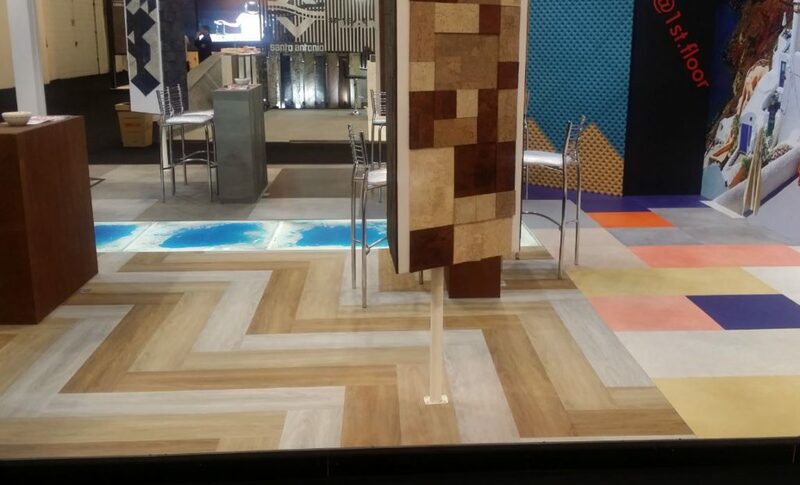 The way that Parmesa combined browns, whites, greys and yellows with blue created beautiful floor palettes. The umbrellas on the ceiling, combined with the peach pink shirts of Tarkett employees was an inviting feature. Their staff were on hand to walk attendees through everything from Desso carpets and Paviflex flooring to LVT and carpet products. 1st Floor’s stand had everything from cork to vinyl products on display. 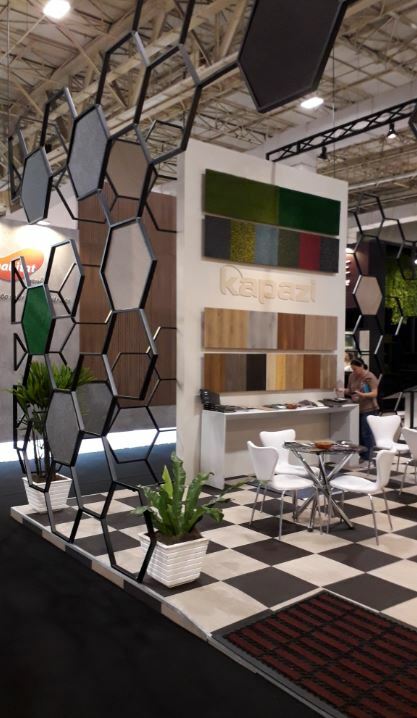 What drew our attention was the pronounced hexagon patterns and the way the company displayed their flooring products on the exhibition stand floor. AMF showcased their colourful wall absorbers in the form of “ceiling panels” that hung above attendees’ heads and looked as if they were made out of glass. AMF also displayed their acoustic solution System S in bright colours on the stand’s walls. For more information contact Revestir via www.exporevestir.com.br.